Cumbre Yah is about participation. We are committed to a radically participatory ethic. We believe that transformative change, whether in the individual or in society, can occur only through the medium of deeply personal participation. We achieve being through doing. Everyone is invited to work. Everyone is invited to play. We make the world real through actions that open our hearts. 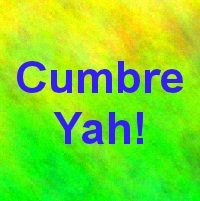 Subscribe to Cumbre Yah News to keep in touch as we get ready for the event! Please read the website before submitting a question.